Flap open the basket, fill with food to be grilled and hold above the campfire ... that’s how easy the grilling basket is to use. 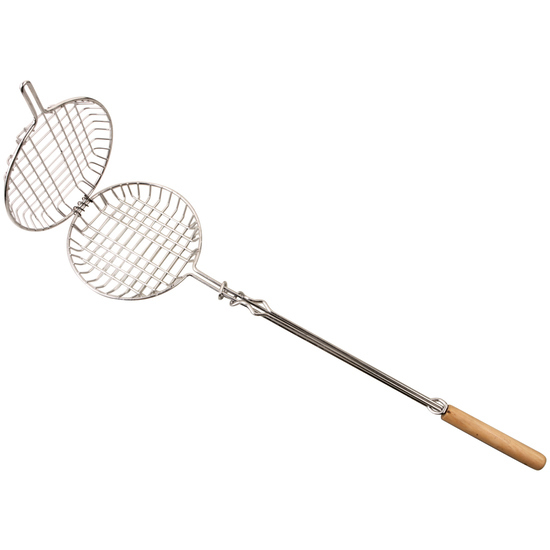 Be it filled with dough for pita bread, a steak or vegetables – everything becomes delicious with the grilling basket! Those who aren’t near a campfire and are sitting around the barbecue can of course simply place the grilling basket on the grill. Grilling basket flaps open, pull-out rod.